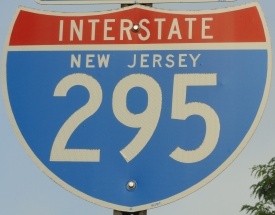 Interstate 295 is a north-south highway in Southwestern and West-Central New Jersey. 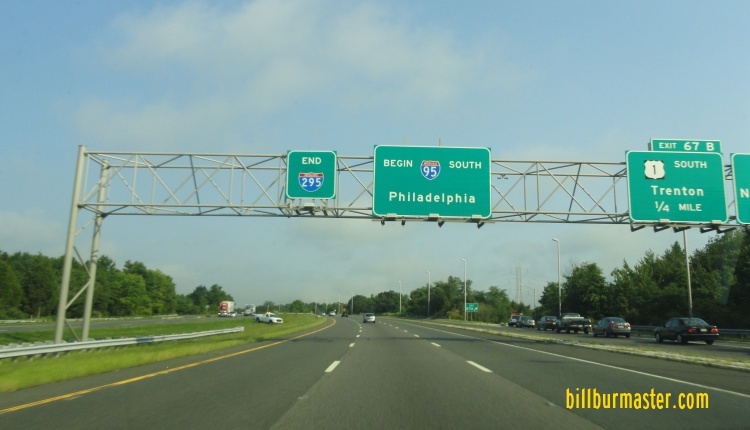 It runs from the Delaware/New Jersey State Line, near Deepwater, to Interstate 95/U.S. Rt. 1, near Trenton. This runs west of the New Jersey Turnpike corridor. 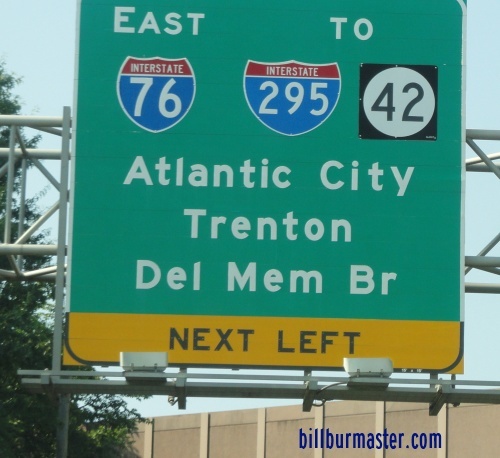 A samll section of I-295 from the Delaware Memorial Bridge to exit 1 is part of the New Jersey Turnpike. At U.S. Rt. 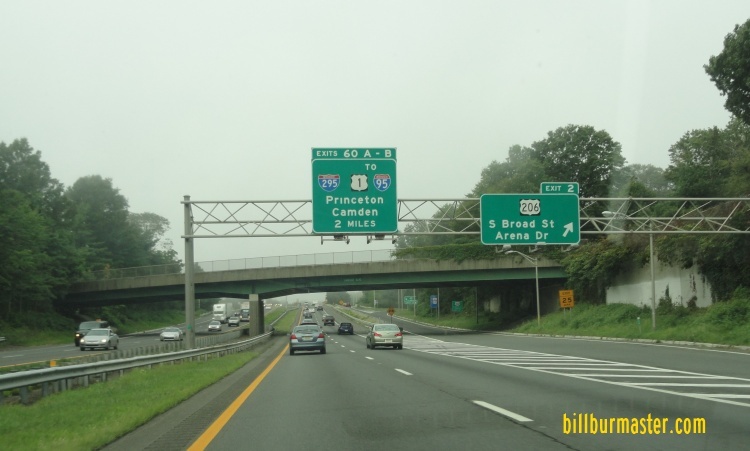 1, on the northside of the Trenton Metro, I-295 ends as it becomes I-95 at the interchange. 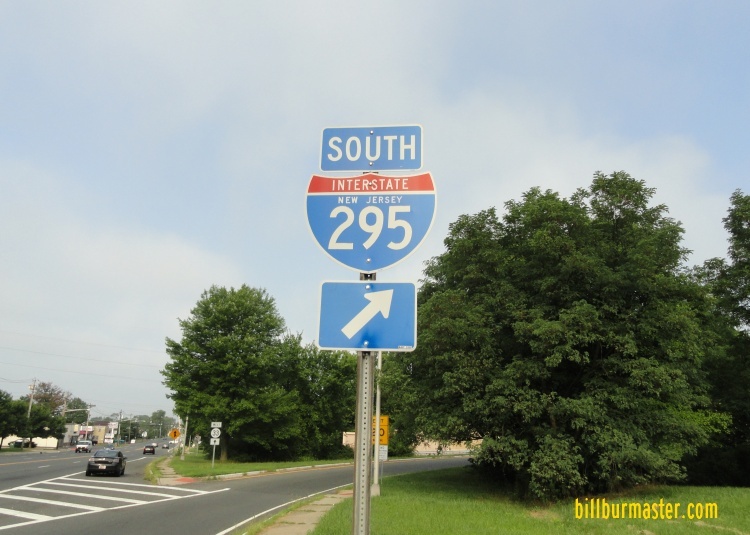 Plans call for a new interchage to be built with I-95/276 in Pennsylvania. This will complete the missing section of I-95. When this happens I-195 is planned to be routed along the section on the north and east side of the Trenton Metro area. This will result in I-295's northern end point being pulled back to the interchange with I-195/New Jersey State Route 29. While in New Jersey, I-295 is multi-plexed. ...U.S. Rt. 40, near Deepwater. ...U.S. Rt. 130, from near Repaupo to near Westville. 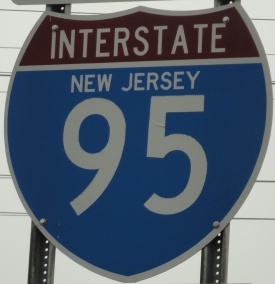 In New Jersey, Interstate 295 intersects the following highway. NB I-295 near WB I-76. NB I-295 at WB I-76. 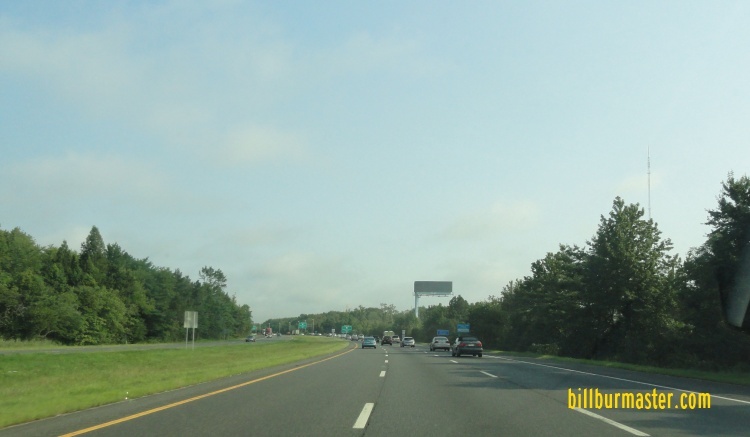 Interstate 195, near White Horse. Info on the parent of I-295 in New Jersey. NB I-295 near NJ St Rt 33. A guide marker in Trenton. 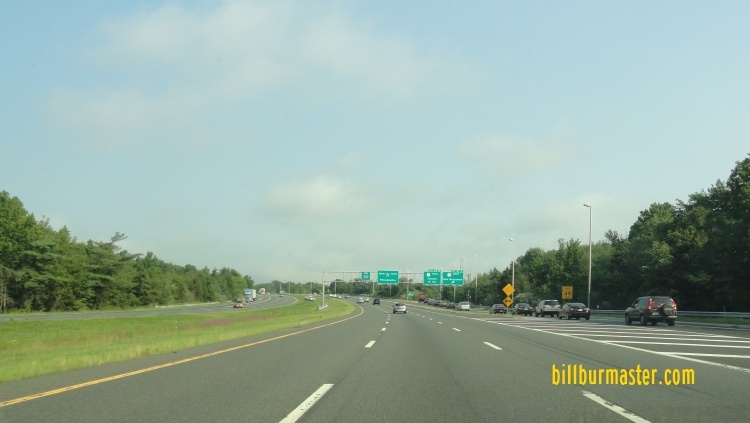 NB I-295 near U.S. Rt. 1. NB I-295 at U.S. Rt. 1.